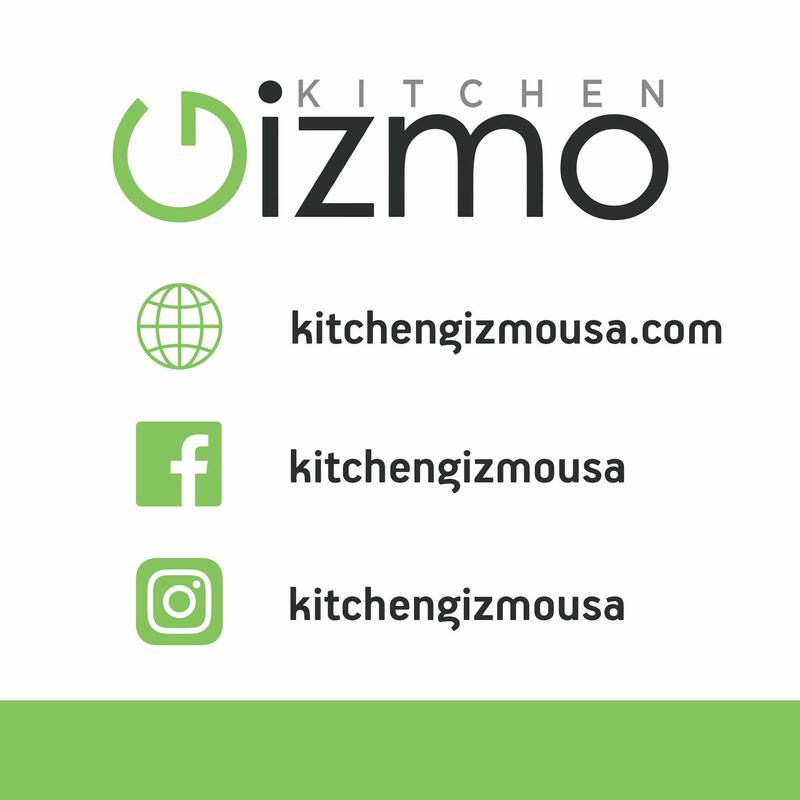 ORIGINAL MANUFACTURERS – Do not fall for the inferior design and quality of the imitations, Only the seller Home N’ Goods carry the original Snap n’ Strain designed and manufactured by Kitchen Gizmo. 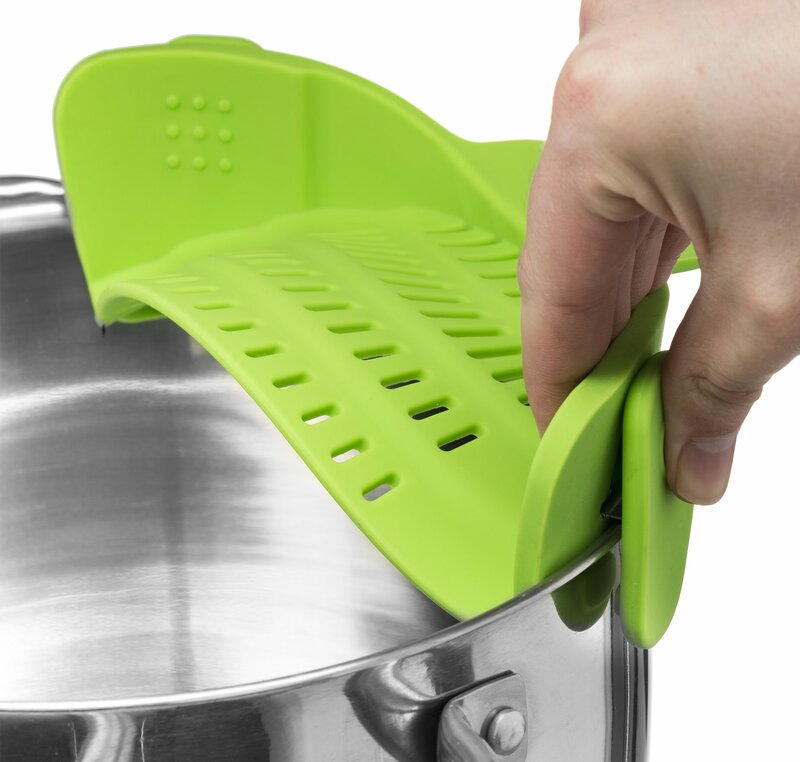 UNIVERSAL DESIGN – The specially designed clips will fit nearly all round pots, pans and bowls big and small (yes, even the ones with a lip). 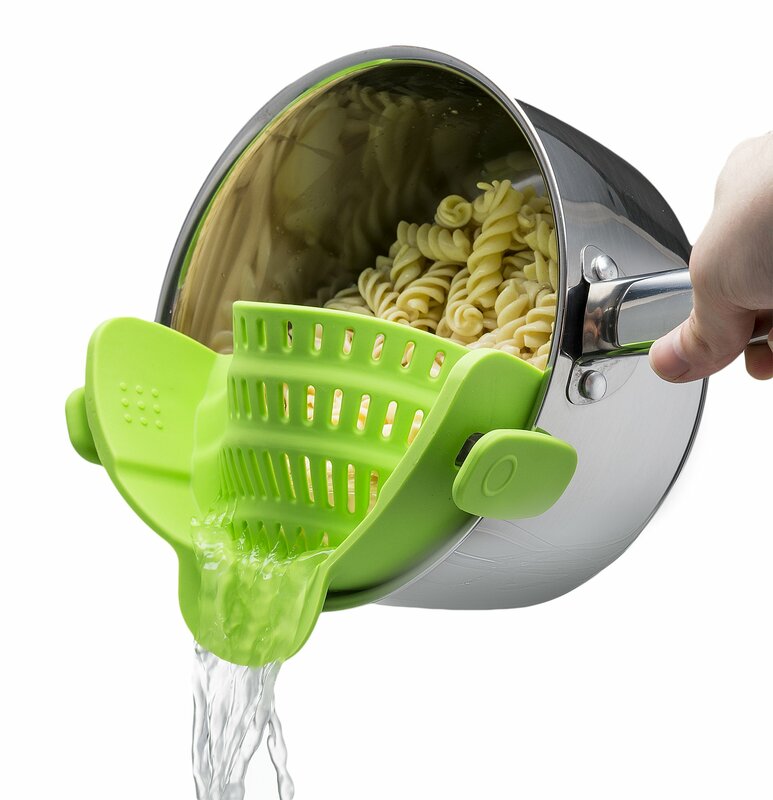 SPACE SAVING- Small, compact strainer that is easy to use and store in a quarter the size of the traditional colander. Great when working with limited counter space. 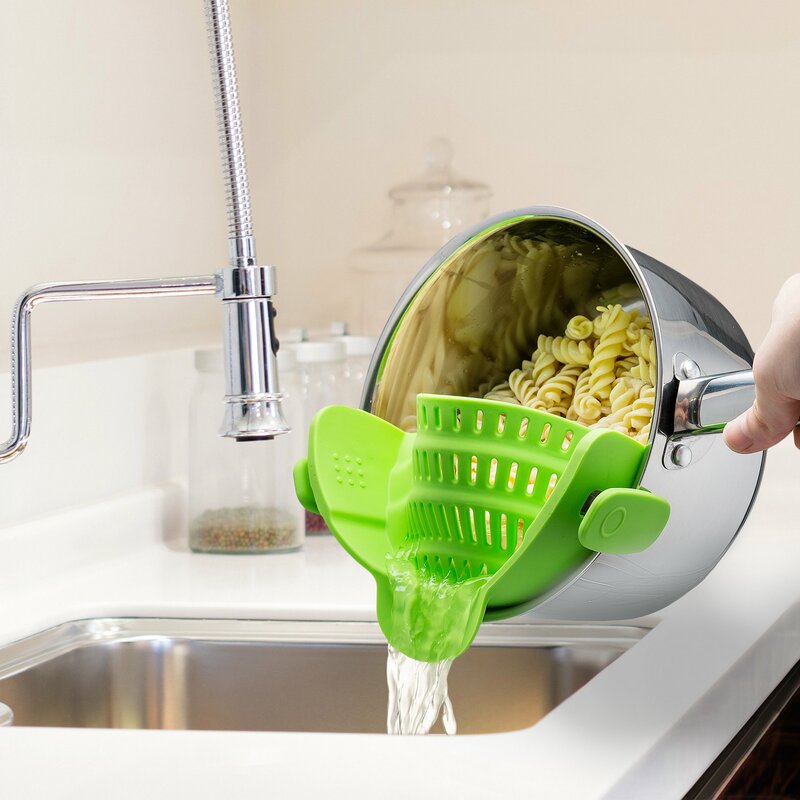 SAFE AND DURABLE- Completely BPA Free, Dishwasher safe and FDA approved. 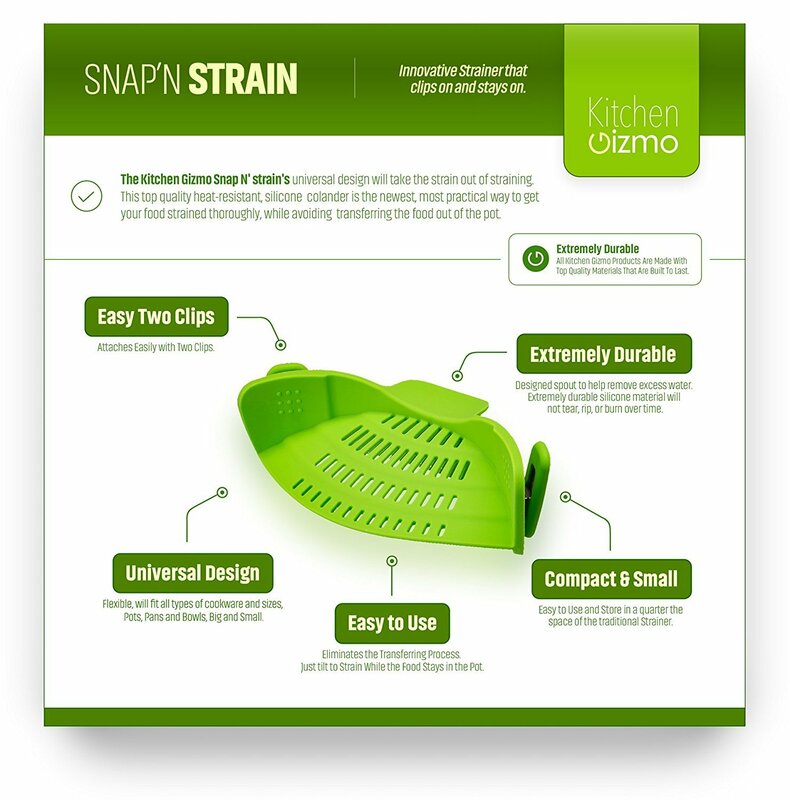 Made from top-quality silicone only the original Snap’n Strain will have the durability to last for many years. Will withstand straining of heavier foods like potatoes. PEACE OF MIND – With our 1 year warranty. As long as they were purchased new on Amazon, we will replace it free of charge. Warranty only valid for defects in materials or craftsmanship, any damages caused by misuse will void the warranty. Instant Pot Copyright © 2019. Copyright © 2018 Official Amazon InstantPotSale.com Re-seller. All Rights Reserved.